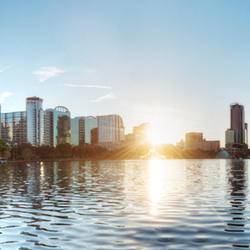 Customer Marketing Group expands to Orlando, Florida. The call out East to better serve clients who continue to struggle with improving retail execution and consequent financial performance is impossible to resist. Customer Marketing Group, Inc. (CMG) announced today that President and CEO, Stew Bishop, has physically relocated to Orlando, Florida. This move to the East Coast reflects CMG’s commitment to providing exceptional customer service as well as the firm’s continued growth within the consumer packaged goods (CPG) industry. An important hub within the CPG industry, the East Coast provides an ideal environment for growth especially within the Health and Beauty and Natural and Organic foods sectors. The firm’s expansion provides the opportunity to continue to provide exceptional customer service for a growing customer base as well as to further strengthen the advisory provided to current clients located on the East Coast. The move will also facilitate access to attractive math talent and experienced commercial agents in the area. CMG will maintain its presence in The Woodlands, Texas, Berkeley, California and Chicago, Illinois. Bishop’s leadership has transformed dozens of organizations through practical, intelligent business counsel and effective execution. With over 30 years of experience, he spent the first half of his career executing and managing Retail Operations at The Quaker Oats Company, Schering-Plough, and Bayer Consumer Care, where he was the VP of Sales before departing to join CMG. With Bishop’s ability to manage relationships and make decisions in highly chaotic business to business and retail environments, CMG hopes to replicate the exciting success it has had since opening its West Coast office in 2014. About Customer Marketing Group, Inc. Since its founding in 1994, Customer Marketing Group, Inc. (CMG) has proven that executing an effective business plan requires informed decision making. CMG’s experienced team of business leaders, mathematicians and economists solve complicated problems that its clients do not have the ability or capacity to handle on their own. CMG provides episodic support that is tailored to help clients make decisions that achieve their financial objectives in marketing, sales, finance and logistics. Current clients include CPG companies ranging in size from $10MM to $6B. To learn more about CMG, please visit http://www.CustomerMarketingGroup.com.